aGupieWare: "Terminator" Technology, Incubator Effects: Cyber-sperm to the Rescue! 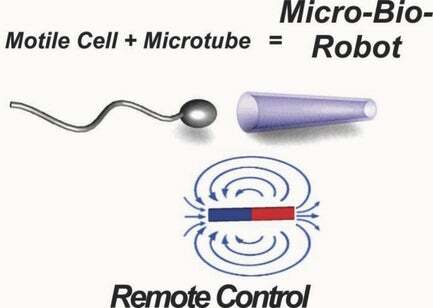 "Terminator" Technology, Incubator Effects: Cyber-sperm to the Rescue! The process of conception is theoretically a straightforward initiative, but like many of the best of human efforts, sometimes it just doesn't work out. While some of the ever-escalating population of 7 billion people worldwide might not consider the lack of more children a problem, the fact remains that the process of procreation is biologically hardwired in many...and if the usual efforts fail, now they can be technologically stimulated as well. It's not wearing a cute little scarf...that's a high-tech sperm guidance system! According to gizmodo.co.uk, a German team has been working on making robotic components that allow sperm greater swimming strength to reach their target eggs. These "spermbots" are part of IFW Dresden Institute for Integrative Nanoscience's initiative to create a “cellular cargo delivery” system for synthesizing spawn. Chief research Oliver G. Schmidt had initially attempted to supercharge bull sperm by fitting the cells with tiny magnetic cylinders, which were then steered via magnets to their goal. While the missiles hit the targets, the payload didn't deploy: the cylinders prevented the sperm from its fertilization function. You can't put a sperm in a dunce hat and expect it to succeed. This plan failed, but life found a way! The team then changed tack and used a ribbon of metal-coated polymer to encircle but not enclose the sperm, allowing it to be guided but also properly put to work. The helix shape of the device allows the sperm to be guided in three dimensions. The system is still in development, so clinical trials will be a ways off. However, the team is enthusiastic about their efforts, stating, “Despite the fact that there still remain some challenges on the way to achieve successful fertilisation with artificially motorised sperm, we believe that the potential of this novel approach toward assisted reproduction can be already put into perspective with the present work." 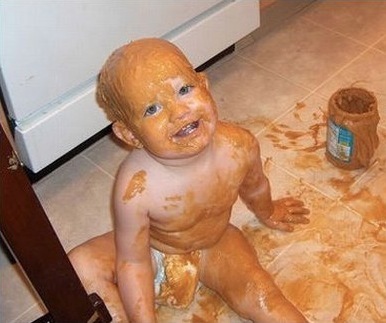 Just remember, science can brew you up a baby, but it's your job to handle the damn thing.